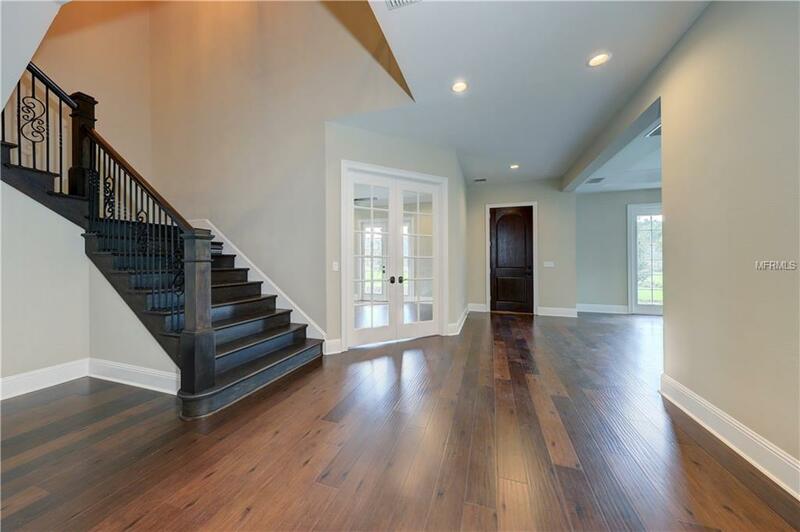 Under Construction, two-story Myrtle w/ Admiral elevation, 5BR, 4 Bath on 1+Acre lot in the beautiful gated community of Lochmere. Home features shutters, front-face metal roof, covered front-entry and balcony with doors from upstairs bedrooms. 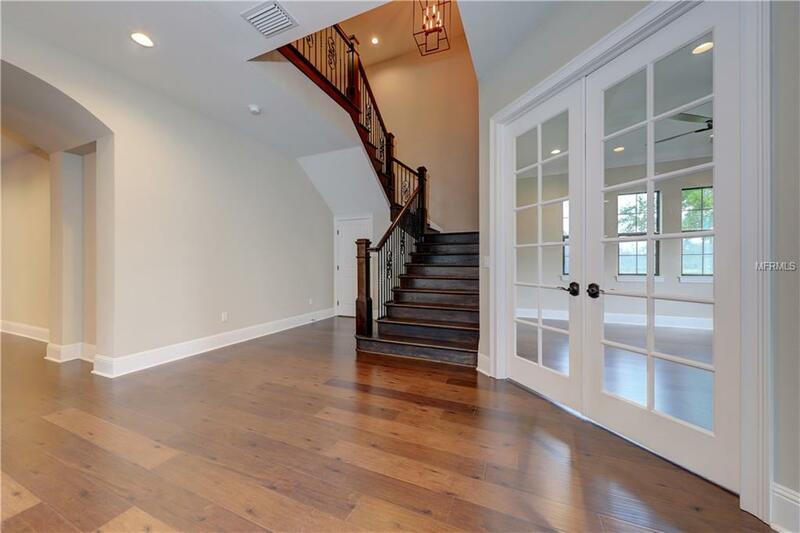 French Doors open from Formal Living room and Formal Dining room into interior paved Courtyard; Dining room, with tray ceilings with beam work, open up to create a beautiful area to entertain. 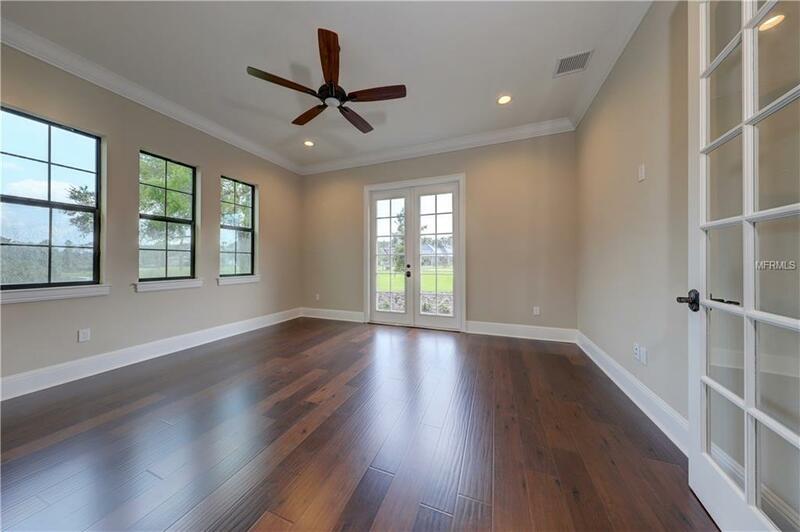 Opposite side of Dining features a Gallery with tray ceiling, and additional French doors leading out onto back with extended Lanai and Optional Outdoor Kitchen, providing easy flow for entertaining. Large Family room featuring beam work with rounded picture-window to enjoy the view. Kitchen has an oversized island with sink, upgraded stainless appliances. Master bedroom features tray ceiling, his/hers closets, double sinks, free-standing tub with separate shower. Passage-way from her closet leads directly into laundry room and kitchen. Four-bedrooms, and bonus room up-stairs with three large windows opposite winding stair-case to allow in lots of light. Buyer may choose all finishes including paint colors, flooring, cabinets and countertops from our Design Center with consultation from our Professional Interior Designers. Optional Pool, Wine Room, Gazebo, etc. Price reflects Base Price of home+ Lot Premium, w/out upgrades, pool, etc. Listing provided courtesy of Tampa Bay Luxury Homes Realty Llc.